The 2018 Chevy Volt is a plug-in hybrid that came to the American automotive market in 2010. In 2016, the Volt broke records for being the best-selling plug-in vehicle, and it’s no wonder why. With amazing fuel efficiency due to its hybrid engine, excellent performance, all-star safety ratings, and a loaded available technology suite, the 2018 Chevy Volt is at the top of its class. Available in eight eye-catching colors, the Volt is a beauty to look at on the road. For drivers that are looking for a fuel-efficient vehicle, the Volt fits the bill with its hybrid engine that allows it to go 1,100 miles in between fill-ups. The Volt plug-in runs completely on the electric battery until it reaches a certain level and then it switches to the alternative engine fuel. 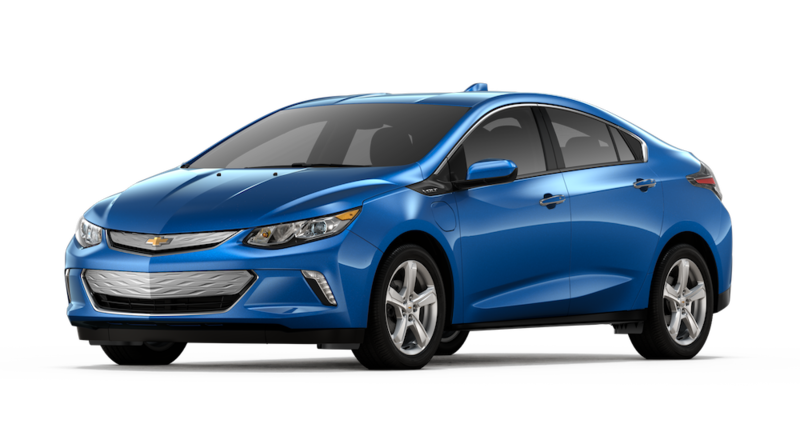 Now in its second generation, the Volt is impressively even more efficient with an increased battery range and an even higher estimated EPA fuel efficiency rating. The Chevry Volt has won multiple awards, including the Green Car Vision Award, Green Car of the Year, North American Car of the Year, World Green Car, and European Car of the Year. With all of these great attributes, it is no wonder why the 2018 Chevy Volt is one of the most favored electric cars on the market today. With its sleek design, the 2018 Chevrolet Volt is not only green and efficient, it is also great to look at on the road. Its stand out design and bright, bold color options make it a super stylish ride. The 2018 Chevrolet Volt has a different look than most electric cars in its class. Its longer body shape is sleeker than the usual electric car models. This design makes it more sedan-like rather than hatchback styled. For 2018, here are the exciting, new exterior colors that were added to the line-up; Green Mist Metallic, Satin Steel Metallic, and Cajun Red Tintcoat. Another exciting color that is sure to draw attention is the Kinetic Blue Metallic, while options like Mosaic Black Metallic and Silver Ice Metallic may be more suitable for drivers looking for more subdued colors. When it comes to interior design, the 2018 Chevrolet Volt is refreshingly sleek and elegant. Exciting color and fabric combinations are available to further customize the look of this hybrid vehicle including, Jet Black and Brandy or Light Ash and Dark Ash. Of course, the classic and stylish all Jet Black is available as well. Fabric selections include the standard cloth or an upgrade to the luxurious perforated leather. No matter what combination you choose for the interior, you will feel confident, comfortable, and stylish inside this smartly designed hybrid. Overall, the Chevrolet 2018 Volt is aerodynamic, efficient, and driver-friendly. The available MyChevrolet mobile app allows you to easily access and control information and vehicle function remotely. Check fuel levels and tire pressure, lock and unlock, as well as remotely start your vehicle. Other convenience features include the ability to send navigation locations to your car directly from the app, set a reminder as to where you parked, and much more. The MyChevrolet App is extremely user-friendly and easy navigate with its smart layout and design. The Chevrolet Infotainment system features available 4G LTE WiFi that lets drivers and passengers stay connected with up to seven devices at a time while you are on the go. Chevrolet MyLink also allows you to connect your smartphone seamlessly to your vehicle’s onboard infotainment system. As a necessary entertainment convenience, Apple CarPlay is available for iPhone users, and Android Auto lets Android users connect as well. Muted radio system when the front seat belts are not fastened. Maximum volumes can also be set in Teen Driver mode. Allows parents to set high-speed maximums when in Teen Driver mode. The vehicle will send visual and audio alerts to the driver if they go over these speeds. When it comes to teaching young drivers to operate responsibly and stay safe while on the road, Teen Driver Technology by Chevrolet is truly every parent’s best tool. Other safety technology features include auto crash response and OnStar to get assistance in the event of a crash. Along with the 10 airbag and sensor system, the 2018 Chevrolet Volt utilizes its tech capabilities to keep drivers and passengers as safe as possible while on board. There are two different ways that you can choose to charge your 2018 Chevrolet Volt. The first option is the 120-Volt portable cord. This charging method will charge the Volt in approximately 13 hours. The at-home recommended charging method is the 240-volt charging unit. This method can charge the Volt’s battery fully in 4.5 hours. There is even a way to save more with the 2018 Chevrolet Volt. By using the GPS system, drivers can program a “home” setting, and the Chevrolet Volt will recognize which times are low-peak with your electric company so you can charge at the lowest rates possible. Specially installed equipment allows you the convenience to charge your 2018 Chevrolet Volt right from your own home. The convenient Chevrolet part that allows you to charge at home is faster than traditional charging cords and can be installed indoors or outdoors at your home. Carl Black Nashville is happy to offer a wide selection of new, pre-owned, and certified pre-owned cars, trucks, and SUVs. All of our pre-owned inventory is carefully chosen, thoroughly inspected, and well-cared for at our dealership. Because we value our community and our customers, Carl Black Nashville is always happy to offer specials, incentives, and discounts for your vehicle purchases, as well as service specials. 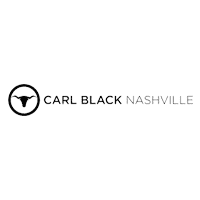 When you buy a car, truck, or SUV from Carl Black Nashville, you will notice our excellent customer service. And our commitment to top-notch customer service does not stop at your purchase. After you take your vehicle home, our team of highly skilled technicians are ready to provide routine service, repairs, or aftermarket installations of factory approved parts and accessories to your vehicle at any time. Stop by our website to browse our inventory, make a service appointment, or get pre-qualified for your vehicle purchase. When it comes time to purchase a vehicle that fits your needs, stop by the Carl Black Nashville dealership and see what we have to offer you today!